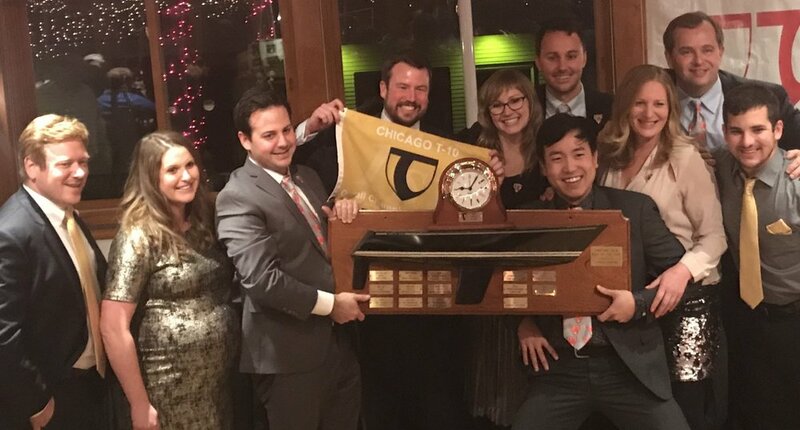 Approximately 150 sailors, friends and family gathered at Chicago Yacht Club’s Belmont Station on Friday night (12/8/17) for the annual Chicago T-10 fleet award ceremony and year-end celebration. Brian Kennalley, Craig Roehl, Edward Mui and the crew of Meat were the Port-to-Port series champions, Lou Jacobs and the crew of Skidmarks were the Buoy champions and Meat took home the overall boat of the year award. Congrats to all the Chicago T-10 racers for another wonderful season on and off the water.